24 year old with diet-resistant lateral thigh fat who underwent liposuction of her outer thighs. 47 year old woman with thigh fullness who underwent liposuction of outer and inner thighs. 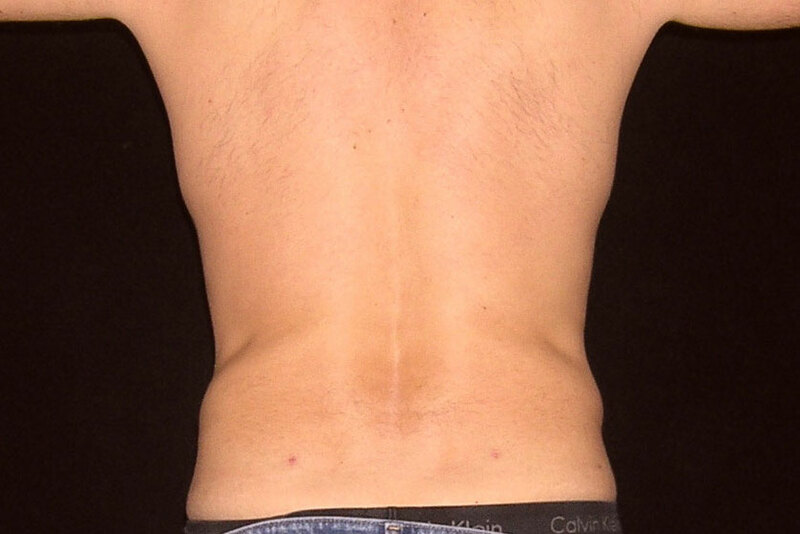 42 year old woman who underwent abdominal and lower back liposuction. This patient is a 42 year old (5’ 8” 140 lbs) who was unhappy with the contour of her abdomen. Despite a healthy diet and regular exercise, she found this area to be resistant to change. She underwent liposuction of the abdomen to achieve her desired look. A 25 year old healthy woman, 180 lbs., 5’10” presented to the office with concerns regarding excess fat in her abdomen and lower back. The patient underwent liposuction of the abdomen and lower back. The postoperative photos were taken 6 months following her treatment.